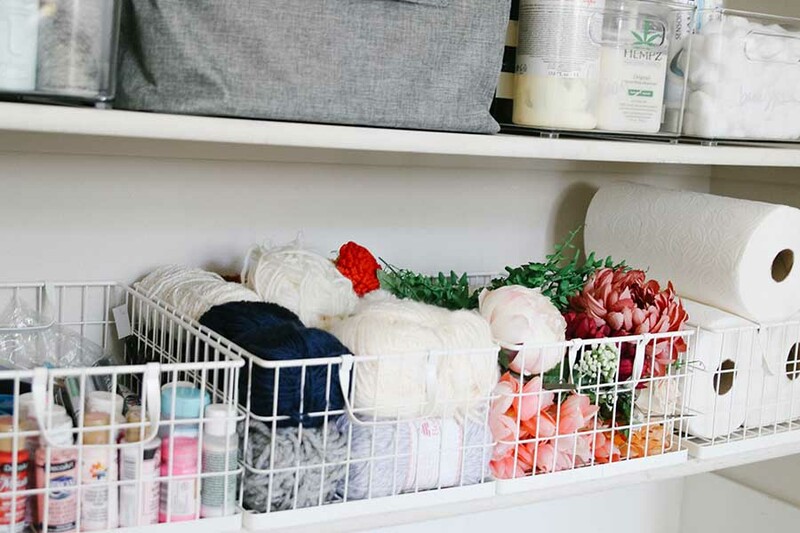 This linen closet organization makeover was well overdue. Wait until you see the before shots! 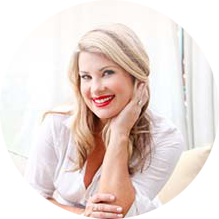 I will show you my tips that I learned for starting your organization project and what products worked best and why! Now, our linen closet wears many hats. 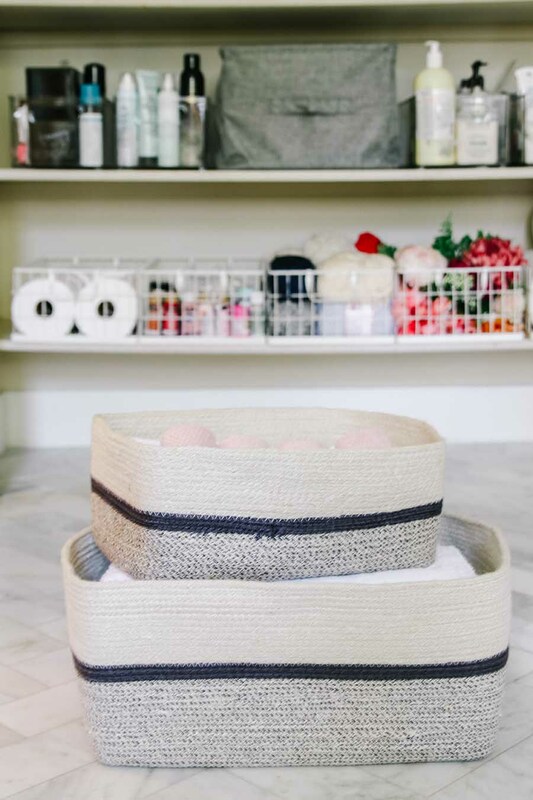 It serves as storage for our basic linen essentials (bedding, towels and extra blankets), but it’s also where we store our bathroom items. Since we have an apothecary sink with open storage, all of our bathroom items are stored in this linen closet. Makeup, skincare, toiletry items. 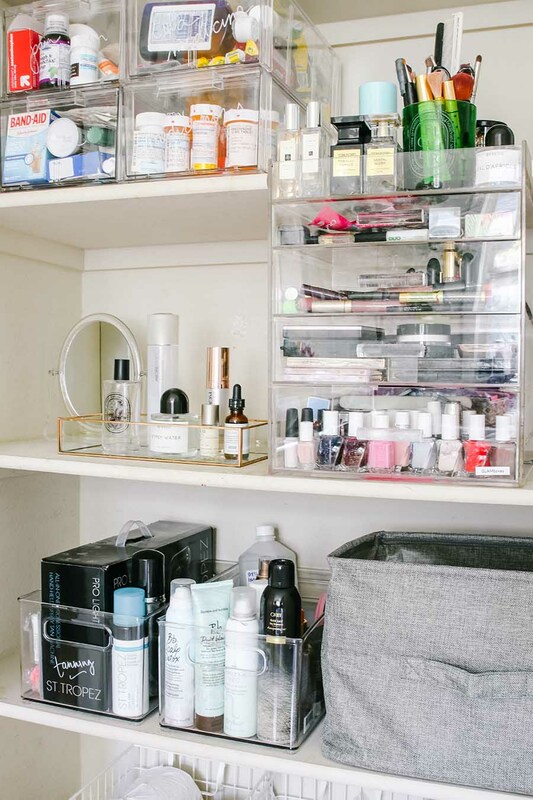 You name it, and we store it in our bathroom linen closet. Oh, and did I mention this is also where I store my craft supplies too? Yep, this closet wears many, many hats. 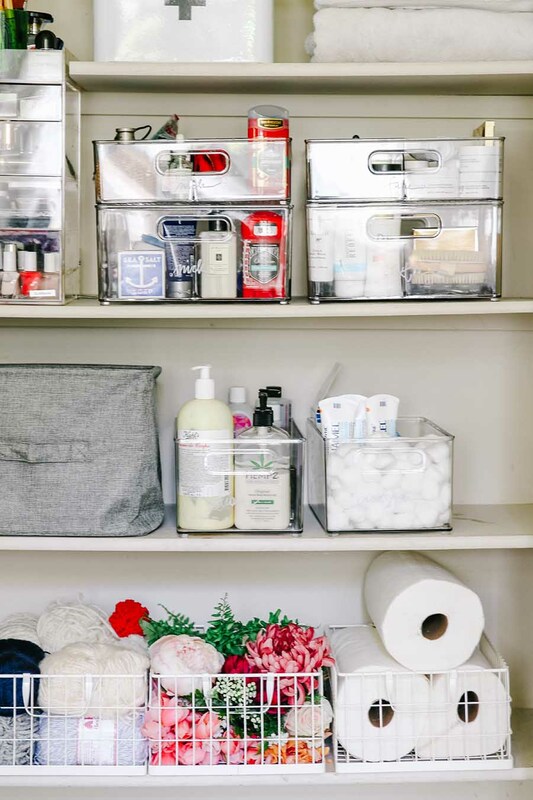 A total linen closet organization makeover was well overdue. As you can see, we were in need of an organizing intervention when it came to this space. 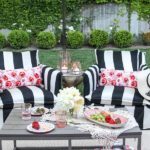 So, when The Container Store reached out to me and asked if I wanted to work with them on a project in my home I was so excited! Because, as you can see, this linen closet needed some serious organization! The Container Store is having their annual Closet Essentials Sale where you can save 25% off all closet organization and clothing essentials! Be sure to take advantage of this big discount now through May 19! 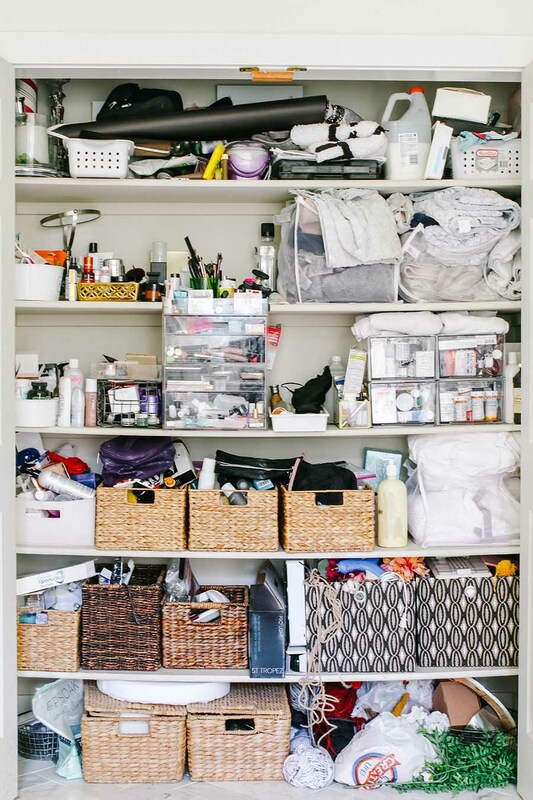 Now, the first step when tackling any organization project is to take everything out. Start with a blank slate. And this is also the time to throw away or donate any items that you don’t have a use for anymore. 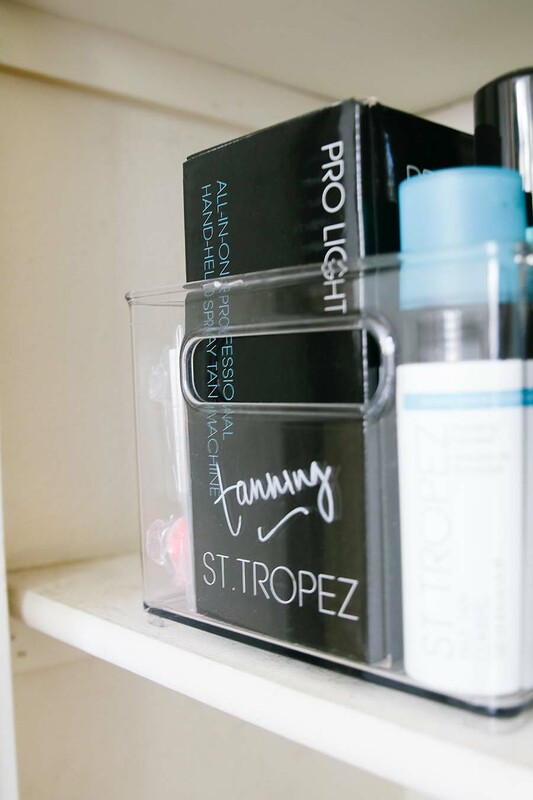 See those hot rollers up on the top shelf? Ya, I haven’t used those in over 8 years. So, I placed them in the donate pile. I went through each and every item in the closet and placed them in different piles according to whether I was keeping them or donating them. Then after removing the items that no longer served a purpose, I started to organize the items that I was keeping. Place items in piles according to use. 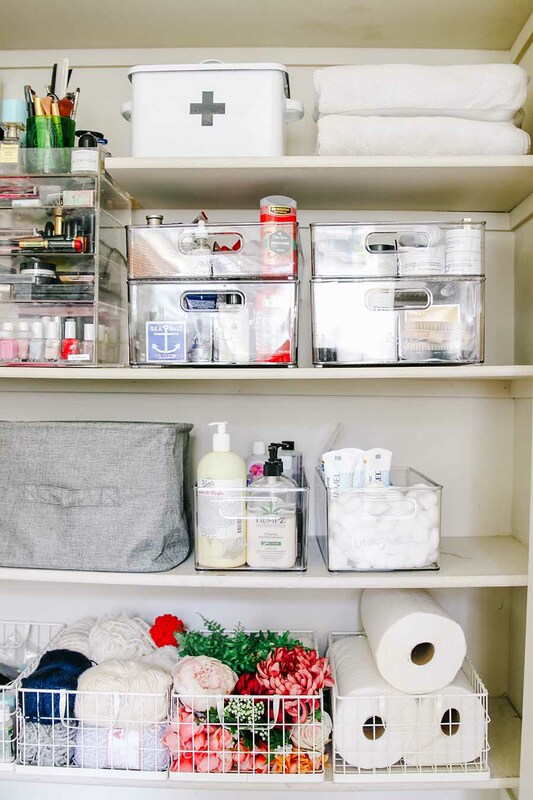 For example, in this bathroom linen closet organization project, I sorted the bathroom items by face care, body, hair products, towels, bedding and back stock (such as extra cotton balls, soaps, toothbrushes). Then for my craft supplies I sorted the items by use. 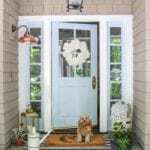 For example painting supplies, yarn and fabric and flowers. Once the items are sorted you get a better idea for what type of containers you will need and how many you will need. 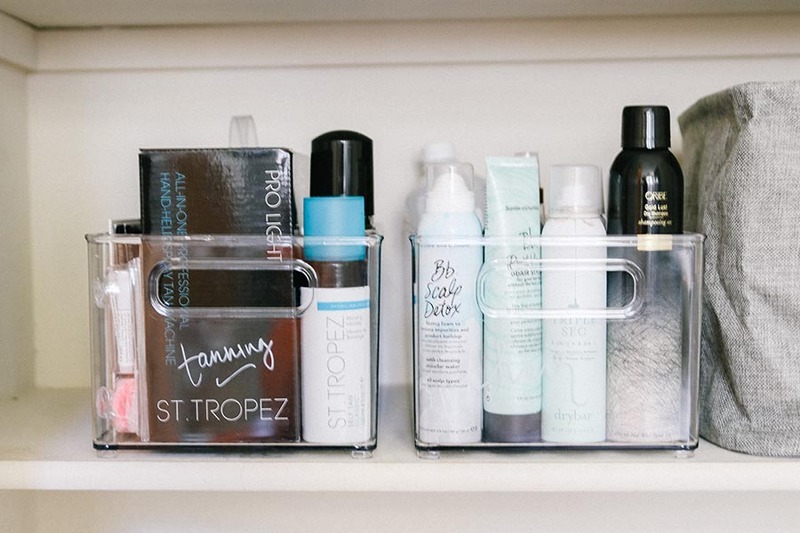 Now that you have what you are keeping organized by type, it’s time to find the right containers for all of your items. 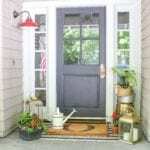 You want to shop for containers that make the items easy to see and also easy to access. There is nothing worse than not knowing what is in a bin and then you forget you have it! Case in point, my before picture. I had a closet filled with baskets that I had no idea what was in them. This time I chose clear containers that I could see through. And I chose bins that could stack on top of each other to make the most of the space. Once you have the right bins, baskets or containers, it’s a good idea to label them. 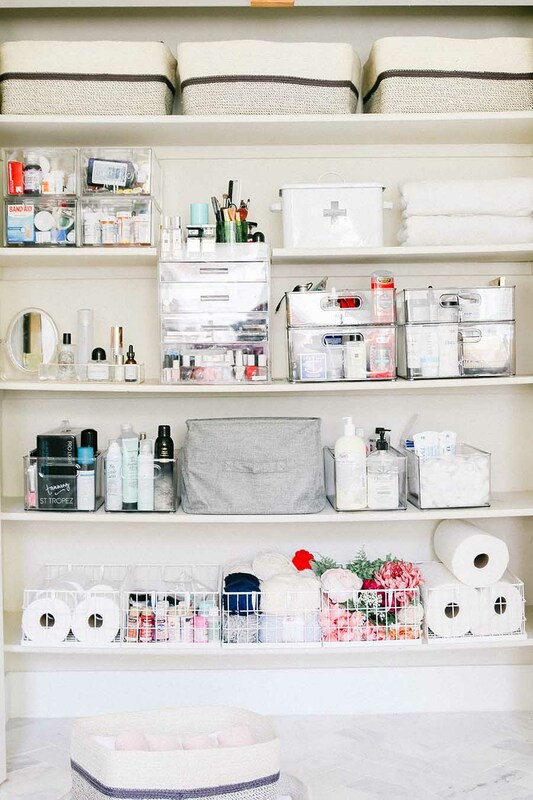 This will help the whole family keep the linen closet stay organized. I used my favorite wine glass writer to write on each bin with what it contains. P.S. I may receive a small commission when you click my links to make a purchase. However, this does not impact what I choose to highlight on my blog. This also helps my blog run free to you! Measure the length, depth and height of your shelves. 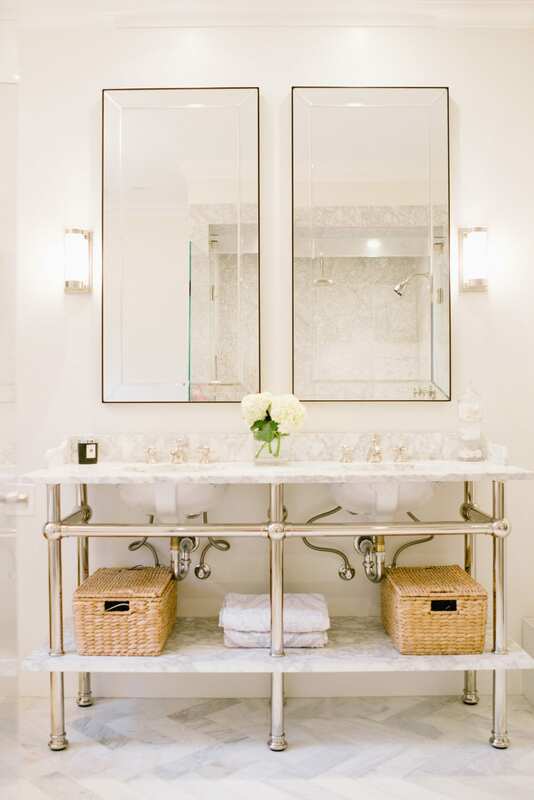 This will help you determine what size baskets or bins to buy for your space. For example my shelves are 15″ deep and 13″ in between. Having this measurement on hand really helped me plan the space most effectively. I was able to find containers that really utilized the space most effectively. 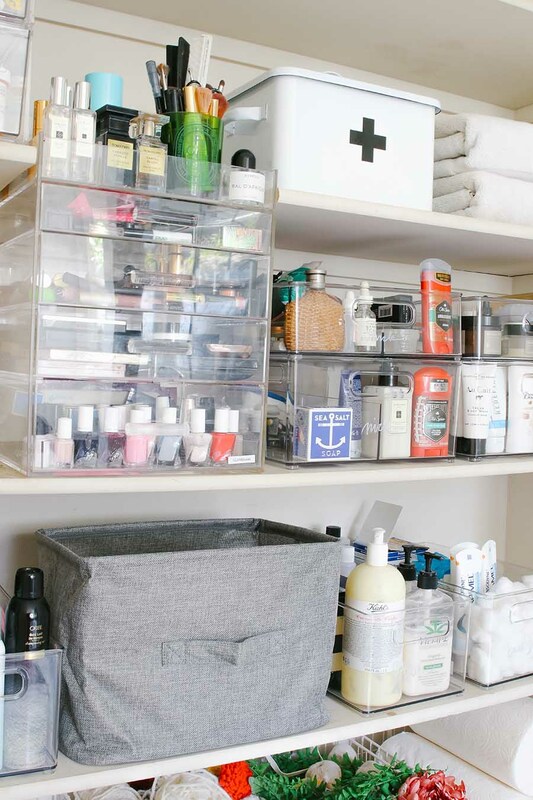 The Container Store has such a vast selection of bins in literally every shape and size so it was pretty easy to find items that fit seamlessly into our linen closet shelves. 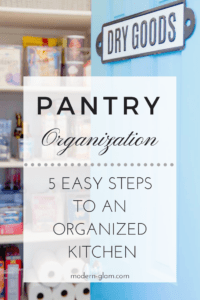 Make a list of of what you need to organize. 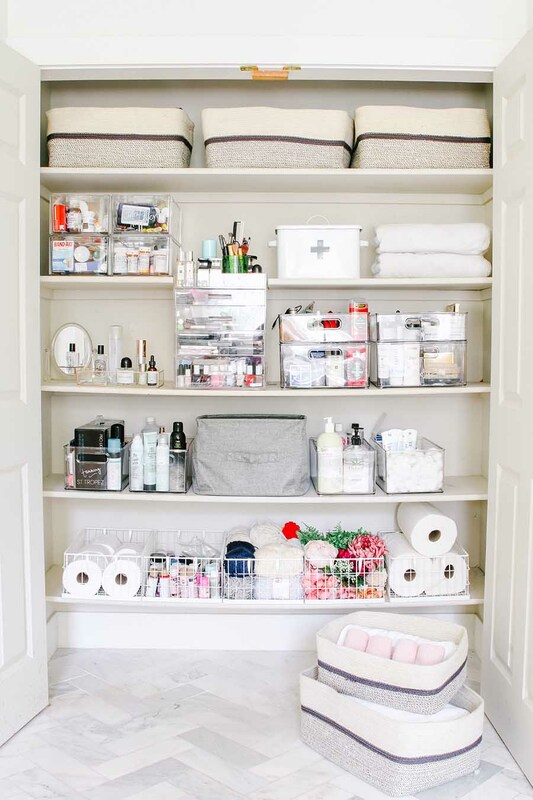 How many towels will you need to store? 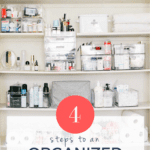 This will help make the most of your organizing. It will also help you decide what type of containers you will want to use. 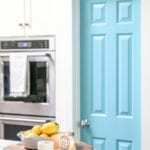 For bathroom or kitchen items you will want something that is easy to clean. And for towels and bedding you will want something flexible and soft to easily hold the less rigid items. I love these woven bins that I found. Not only do they look beautiful, they are perfect for towel storage and are shallow so we can still see what’s in the basket. My neighbor gave me the genius idea to use acrylic shoe boxes to store our medications. 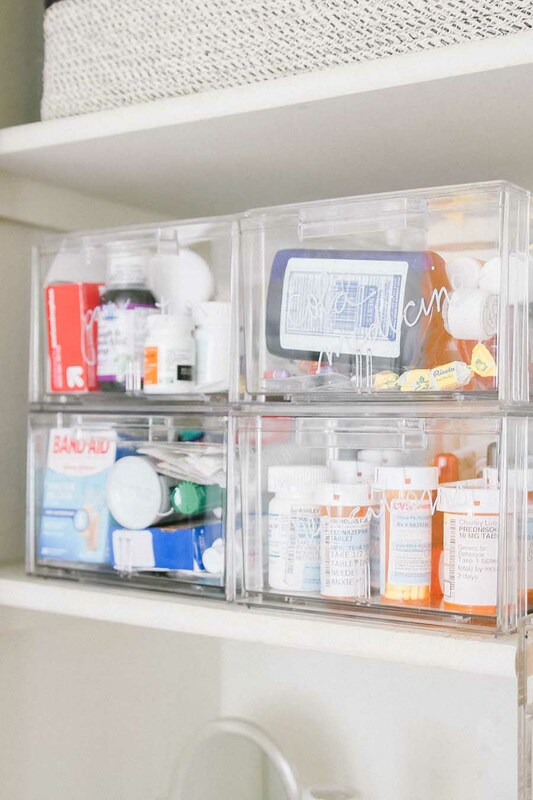 Not only do the bins fit perfectly on our shelves, but they are stackable and the perfect size for medicine. We have one box for cold medications, one for pain relievers, one for first aid and one for prescriptions. 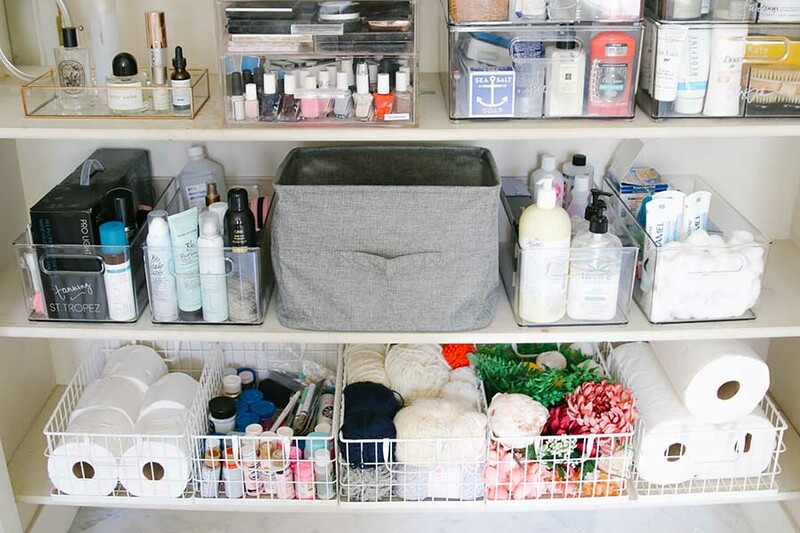 Being able to pull the drawer out to get what you need without having to rifle through them is so convenient and has helped us keep the linen closet more organized! 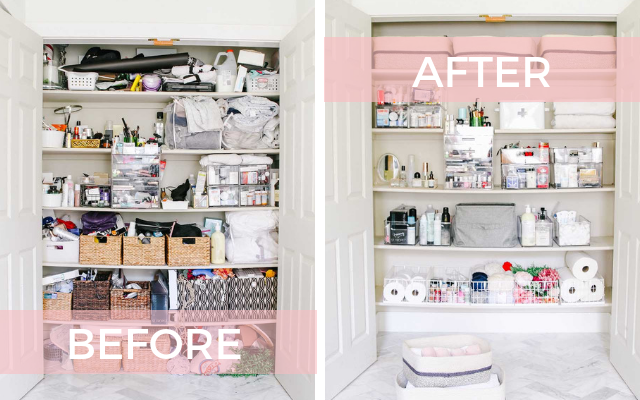 I hope this helps inspire you to tackle your home organization project. And be sure to take advantage of The Container Store’s Closet Essentials Sale going on now through May 19! I received products from The Container Store in exchange for this post, but as always, all opinions expressed are 100% my own. Gah! This is inspiring me, Ashley!!! Great makeover!! And totally Pinterest worthy!! thanks nicole! I had fun with this makeover and it was so necessary!